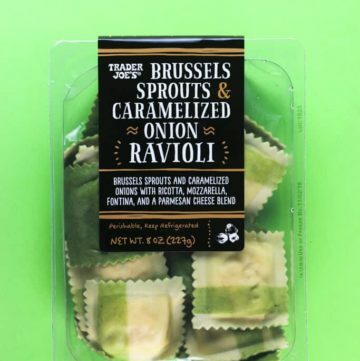 There are a handful of foods the are absolutely polarizing to discuss: cilantro, truffle, and yes Brussels Sprouts (I know there are far more than just those). 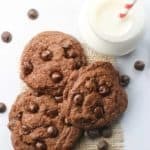 But only one of those has food memories often associated with childhood. Either you have grown to like it, or you remember sitting at the dinner table with those terrible mini cabbages which you knew by smell alone were vile. 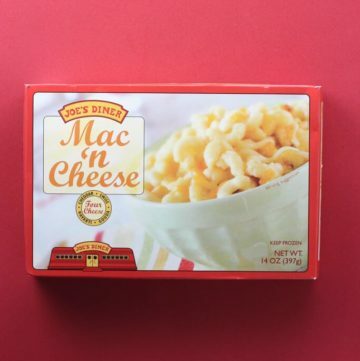 The pros: Trader Joe’s Diner Mac and Cheese is as close as you can get to homemade mac and cheese in a frozen package. 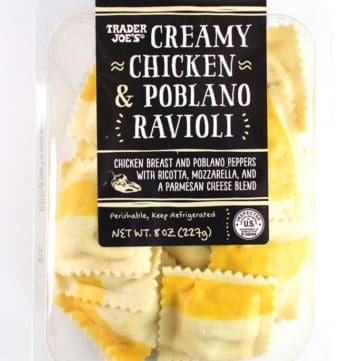 The cons: If you bring this as your lunch you will be consuming over 700 calories. 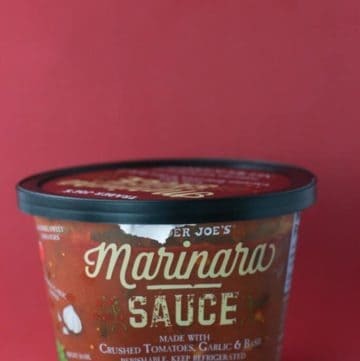 The pros: Trader Joe’s Marinara Sauce is one of two new refrigerated sauces hitting shelves: this and mushroom medley alfredo sauce. The ingredient list is pretty simple and straight forward. The cons: It isn’t going to be my first choice in sauce options. 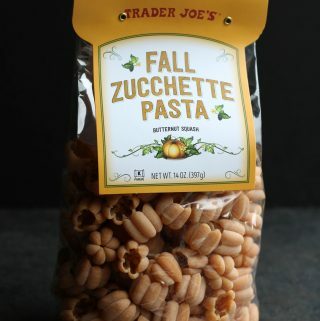 This would have been better if they had used San Marzano tomatoes. 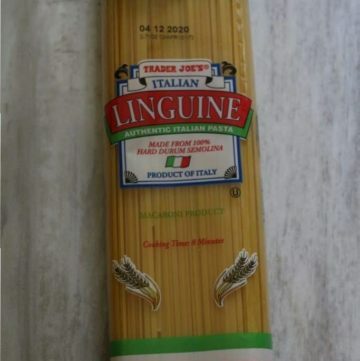 Keep some EVOO and some basil on hand if you are planning on using this. 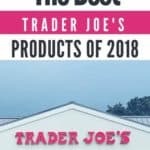 For the price, there are some equally good options in the jarred section. I love pasta. 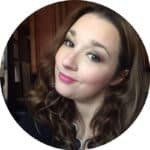 I’ll take all the carbs if you aren’t having them. 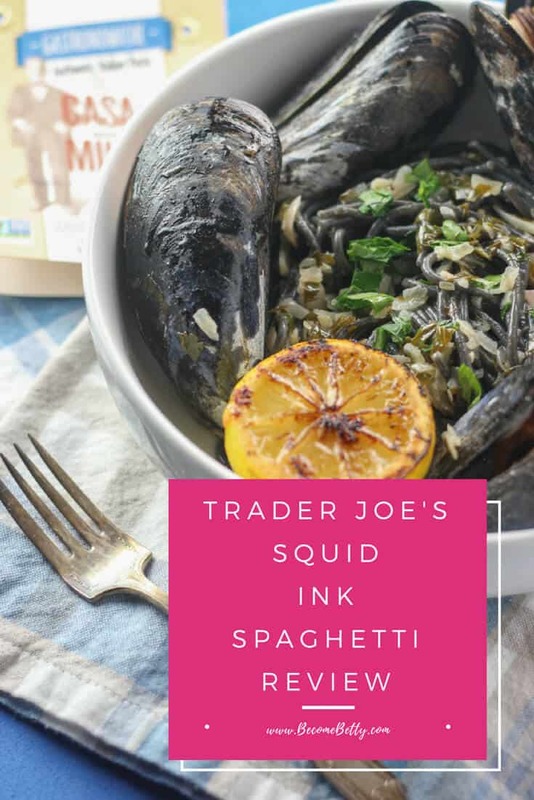 The only time I’ve seen squid ink pasta is on the Food Network or on the menu of some fancy schmancy place…. 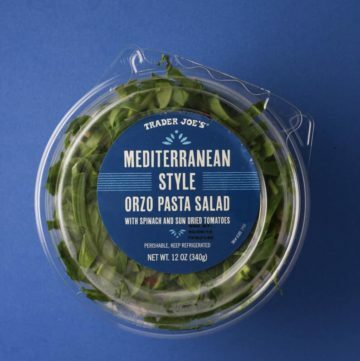 The pros: Trader Joe’s Mediterranean Style Orzo Pasta Salad is new and makes for a good grab and go item if you are going to a BBQ or need a quick side dish. The cons: Could use a bit more acidity. If you plan on mixing everything in this bowl, you’ll need to move it to a new container. 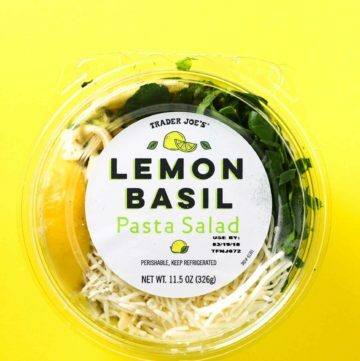 The pros: Trader Joe’s Lemon Basil Pasta Salad is new to the refrigerate aisle and is vast improvement over some of the grab and go food items. The cons: Mine only had a tiny wedge of lemon. If you are planning on eating this for lunch, then be ready for the fact this bowl is 500 calories. If you need to mix the ingredients, you’ll want to reach for a bigger bowl. 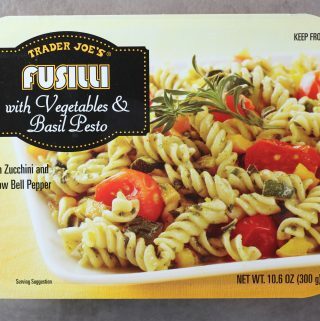 The pros: Trader Joe’s Fusilli with Vegetables and Basil Pesto is a quick meal. The veggies here are the highlight. The cons: Not much in the way of pesto. 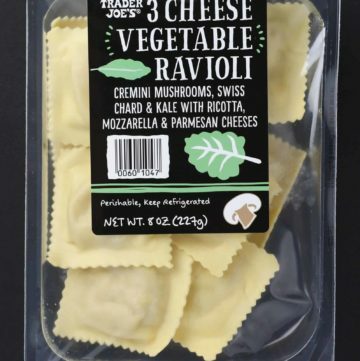 The pros: Trader Joe’s 3 Cheese Vegetable Ravioli seems to the fresh pasta section in the refrigerated case. 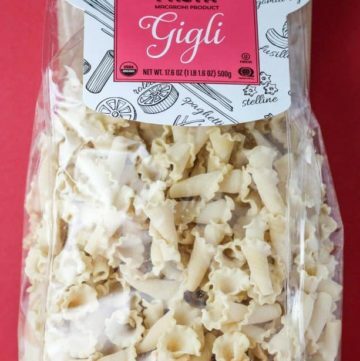 The pros: Trader Joe’s Organic Italian Artisan Pasta Gigli is one of three new pastas that are organic and artisan. 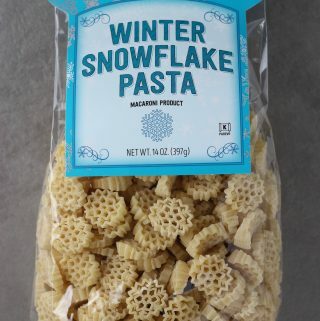 The cons: This is a premium priced pasta, but is still affordable. 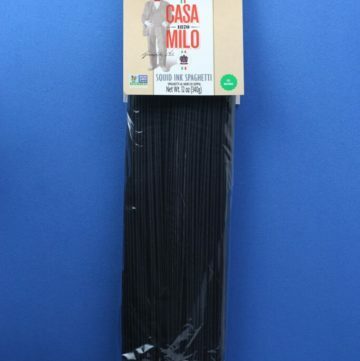 A few pasta pieces lost their cool shape. 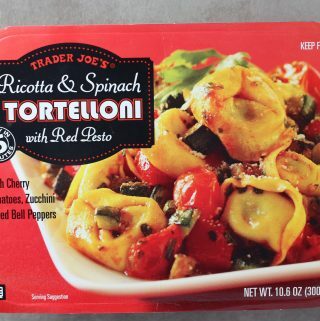 The pros: Trader Joe’s Ricotta and Spinach Tortelloni with Red Pesto is a filling and tasty meal for one. There were a good amount of veggies in this. The cons: Those who don’t love whole tomatoes might not appreciate their presence here. 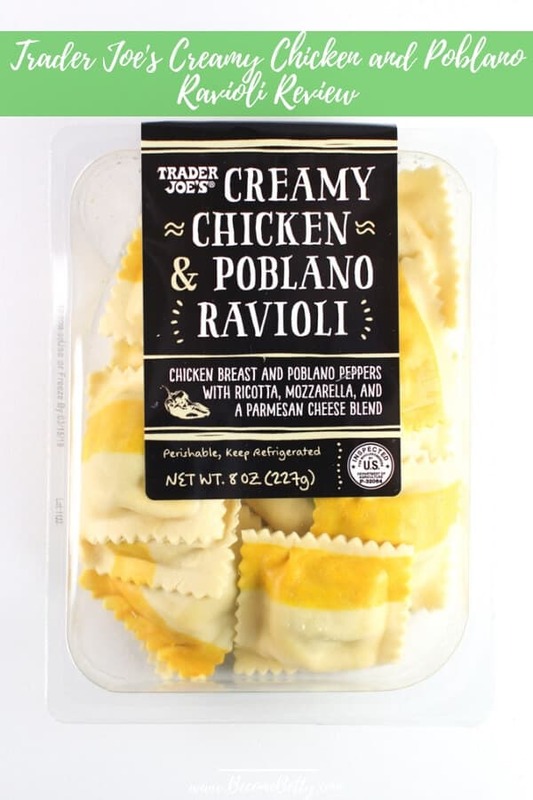 A bit high on the calorie side for a frozen meal. 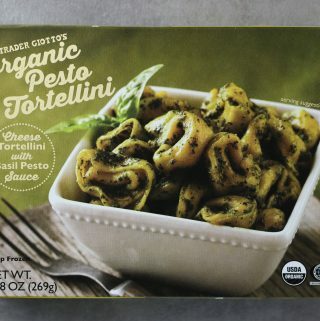 The pros: Trader Joe’s Organic Pesto Tortellini has been on the shelves for quite some time. 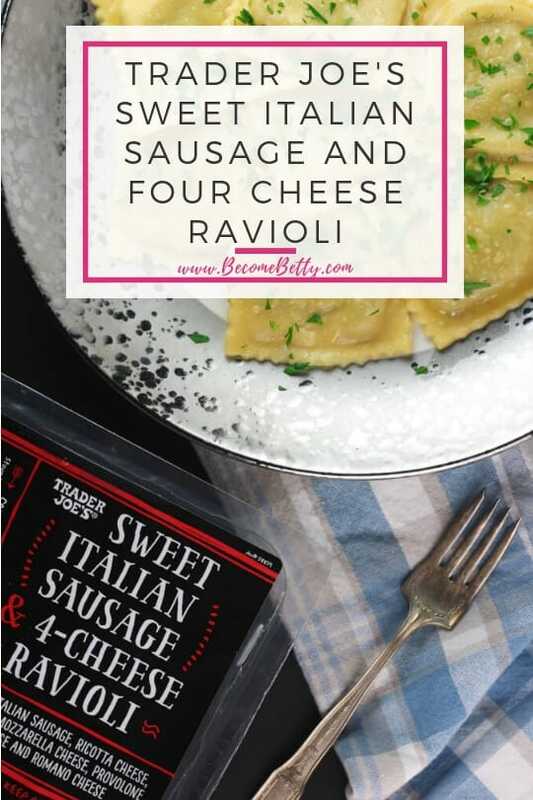 It makes for a quick and easy meal. 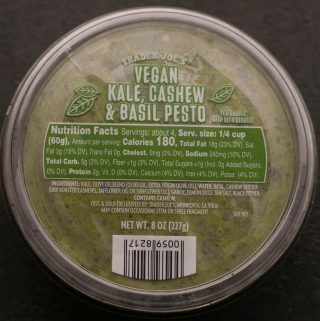 The cons: Bland tasting pesto with almost no texture to it. 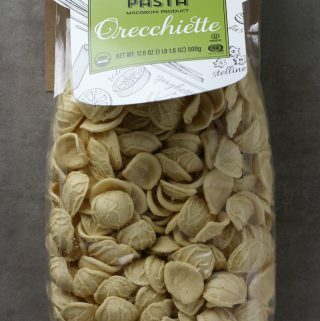 The pros: Trader Joe’s Organic Italian Artisan Pasta Orecchiette is one of three new pastas on Trader Joe’s shelves. 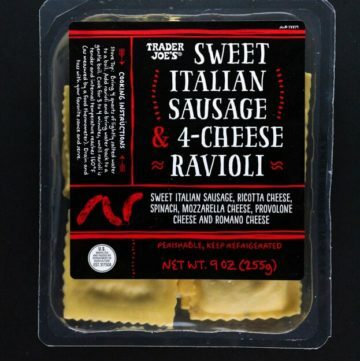 All three are labeled as organic and kosher. The cons: Mine took closer to 18 minutes to reach an al dente texture. Be sure to test before draining these. 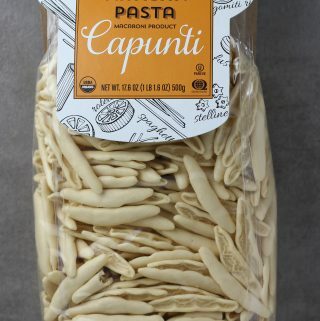 The pros: Trader Joe’s Organic Italian Artisan Pasta Capunti is a new and tasty pasta in a fun shape. 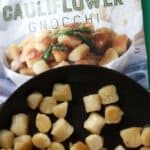 The cons: Other than the fun shape, there was nothing stand out about this pasta. 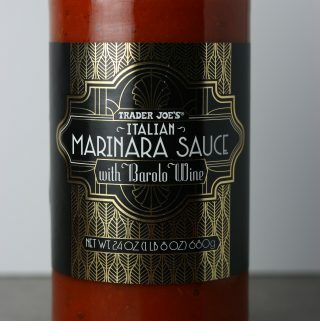 The pros: Trader Joe’s Italian Marinara Sauce with Barolo Wine is new and has an almost homemade taste to it. This is far more complex than most other sauces. 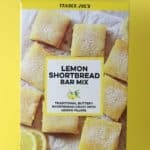 The smell of this had me both smiling and thinking about Julia Child. The cons: Slightly more expensive than some of the other sauces on the shelves. Jar indicates that the whole jar should be consumed in three days. 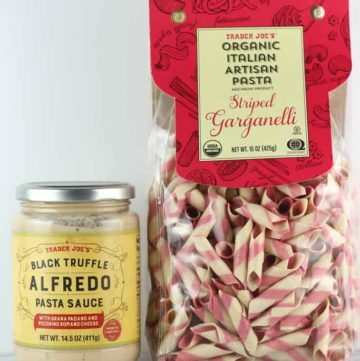 The pros: Trader Joe’s Winter Snowflake Pasta is one of many seasonal and whimsical shapes of pasta that Trader Joe’s offers on a rotating basis. 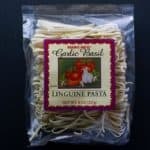 The cons: This pasta is special because of its shape, but there is nothing else that stands out about this product. For me, the cooking directions were off. 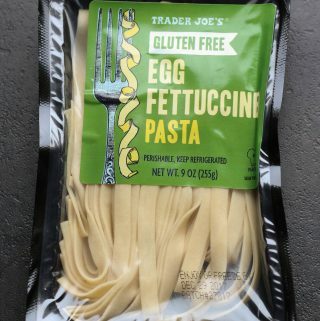 The pros: Trader Joe’s Gluten Free Egg Fettuccine Pasta is excellent. 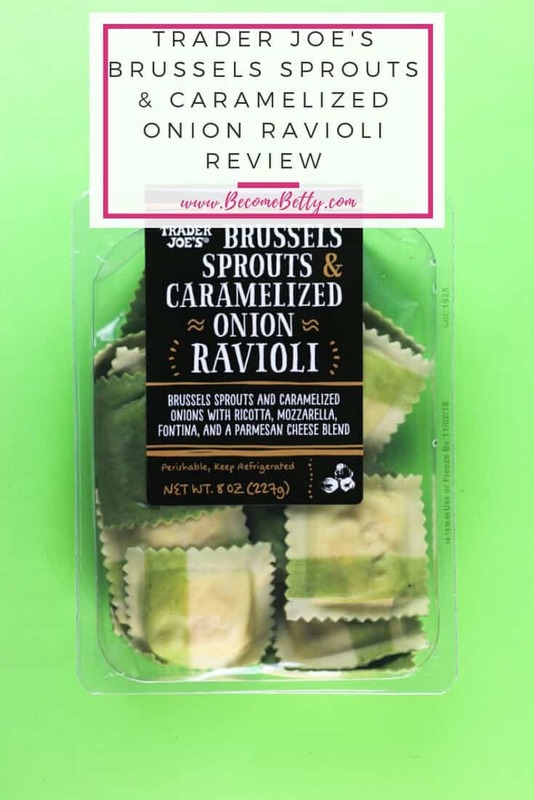 Fresh pasta is always better than boxed, but this was the closest substitute for “real” pasta I’ve ever tried. 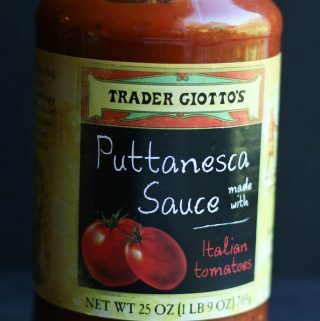 The pros: Trader Joe’s Puttanesca Sauce is a thick sauce that has a lot going on. It’s got sweet tomatoes, but savory elements too with a touch of heat. 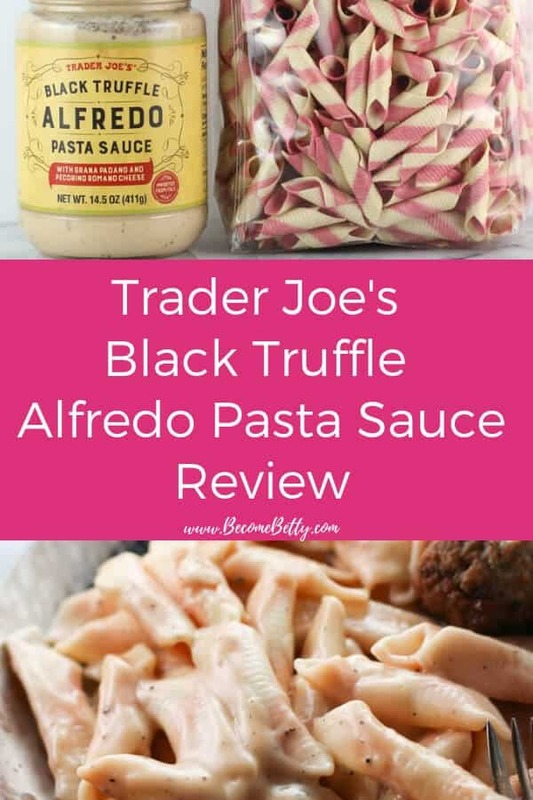 The cons: If you are not a fan of olives, capers, or the subtle taste of anchovies, then this is not the sauce you should reach for. 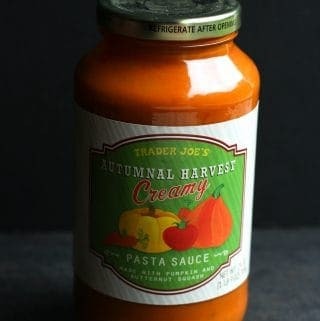 The pros: Trader Joe’s Autumnal Harvest Creamy Pasta Sauce is thick, rich, creamy and will have you thinking that it is just a well made cream sauce. The cons: It’s seasonal. 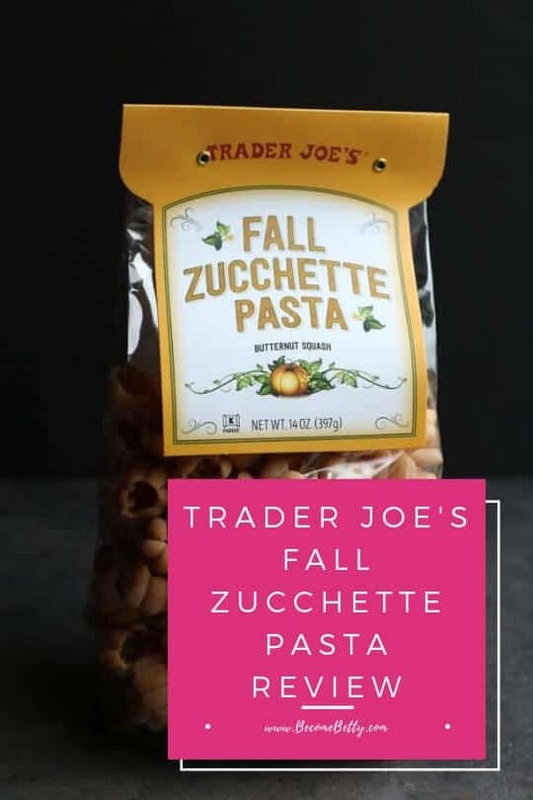 I wished they would change the name and just sell this all year long. Sodium is high, but the flavor is good.